In January 2011, baby boomers started turning 65. Since then, 10,000 baby boomers are turning 65 every single day. And…this will continue until 2030. This is an important question, because if you don't sign up for Medicare, and you were one of the people who needed to do so, you may have to pay a penalty for not enrolling in Part B. The penalty is 10% for each year that you could have had Part B, but didn't. This late enrollment penalty could last for the rest of your life. Do you have to sign up for Medicare Part B? No, but you might want to if you don't have creditable coverage, to avoid this penalty later. Not only could there be a penalty for not enrolling in Part B, but there could also be a penalty for not enrolling in Part D. So, we'll get to the bottom of who has to sign up and who doesn't. Do you have to sign up for Medicare if you are working? If you are working and have an employer or union group health plan, you might not need to sign up for Medicare A and B right away. If you are already receiving Social Security benefits, you may be automatically enrolled in Medicare Part A, and given the option to opt out of Part B. So do you have to sign up for Medicare if you are already receiving Social Security benefits? Technically, no… but even though you might be automatically signed up, I've found it's best to pro-actively sign up when it's time to do so. You'll avoid getting stuck with a penalty if there is a technology fail. It may help pay some of the costs not covered by your group plan. Signing up for Part A before 2020 will lock in your right to purchase a Medigap (Also called “Medicare Supplement Insurance”) Plan F, which is affected by a law called MACRA. If you work for a company that has less than 20 employees, you normally don't have creditable coverage, and your coverage is secondary to Medicare. This means that if you don't sign up, your coverage is secondary to something that doesn't exist, and you actually don't have ANY coverage. So, my advice is to check with your human resources department or your employer to find out if your coverage is primary or secondary to Medicare, and whether or not it's “creditable”. If you aren't covered under a group plan, or if it's secondary to Medicare, then do you have to sign up for Medicare? Yes, you'll need to sign up for Medicare as soon as you are eligible. And, even if you are covered, if you lose your job or retire, keep in mind that COBRA is not considered creditable coverage. If you sign up for COBRA instead of Medicare, you could find yourself without any insurance for a period of time. You can find more information on Medicare and COBRA here. In addition to COBRA not being creditable, neither is retiree coverage. Neither is VA Medical Benefits. To make things more confusing, VA drug benefits ARE creditable. But sometimes, even if you don't have to sign up for Medicare, it might save you money if you do. And that brings us to the Parts of Medicare. There are actually four parts of Medicare, which are Parts A, B, C, and D.
This is different from Medigap Plans that also use the letters of the alphabet, such as PLAN A, PLAN B, PLAN C, and PLAN D. Keep that in mind when discussing Medicare with a representative or broker. Most people think of Medicare Part A as covering hospital care. But it also covers other care such as Skilled Nursing Facilities, Hospice, and Home Health Services. Most people consider Part B to be the Part of Medicare that covers your doctor visits. Medicare Part B also covers other medically necessary services and supplies. For example, it covers surgery, lab tests, and durable medical equipment like wheelchairs and walkers. Part B also covers Preventative Services such as flu shots. Do you have to sign up for Medicare Part D? Part D covers drugs. 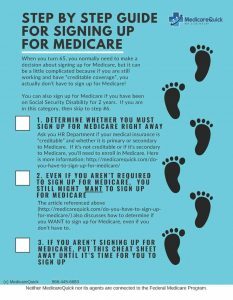 Like Medicare part B, if you don't sign up when you are first eligible, and you don't have creditable coverage, when you do sign up you'll have a penalty that lasts as long as you are in the program (i.e. the rest of your life!) 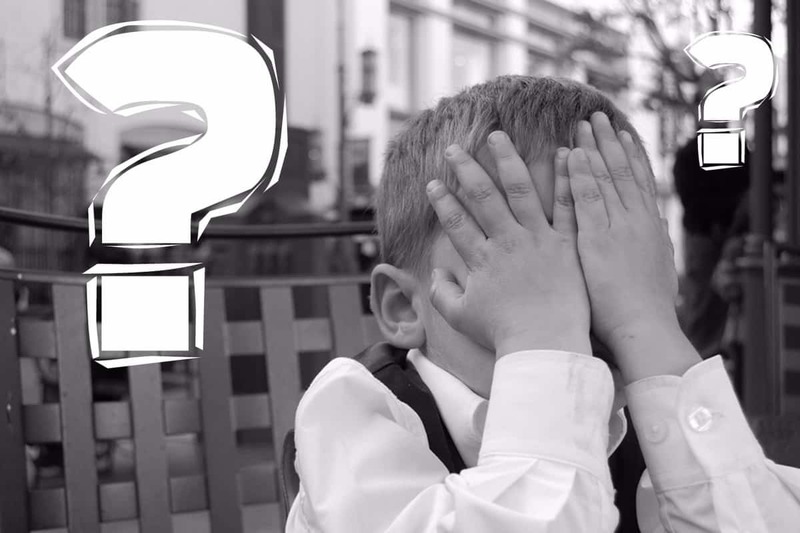 This penalty is 1% of the national average cost of drug plans, every month that you delay obtaining coverage. So this penalty can be pretty high. So do you have to sign up for Medicare Part D? Well, if you don't have creditable coverage, you could be hit with a penalty that is greater than the cost of the drug plan. That's what happened to my husband. I wrote an article about this and you can find out more information about Why you need a Medicare Prescription Drug Plan here. Do you have to sign up for Medicare Part C? Part C is optional, so you don't have to sign up unless you want it, but you might want it! Part C actually replaces Medicare Parts A and B. It also normally replaces Part D as well, but not always. These Plans are called MAPD (Medicare Advantage Prescription Drug Plans). My favorite reason for choosing an MAPD plan is for the Maximum Out of Pocket benefit. Once you reach this threshold for medical expenses, you won't have to pay any more medical co-pays or deductibles for the remainder of the year. (You'll still have to pay for medications however). When you purchase a Part C (Medicare Advantage Plan) you are replacing original Medicare and you are purchasing privatized Medicare Insurance. Because the insurance company has to give you the same benefits as original Medicare Parts A and B, you must continue to pay the Part B premium. Sometimes people think that the Part B premium goes to the insurance company, but it doesn't. Many times people think this because often insurance companies don't charge an additional premium for their plan. How do they do this? Are they working for free? No of course not. Medicare pays the insurance company a monthly rate (often called a “capitated rate”) that is actually much larger than the Part B premium. This is because they are now responsible for all of your care. Insurance companies often give you extra benefits that are not covered by Medicare itself to entice you to join their plan. There are a number of reasons to obtain an MAPD plan, and you can find out more information on Medicare Advantage here. That being said, some people don't like Medicare Advantage's limitations. Medicare Advantage can limit your choice of doctors and other providers. For those people, there is a different plan that goes along with original Medicare. And that is a Medigap or Medicare Supplement Insurance Plan. Medigap plans (also called Supplement Plans) are standardized plans that work alongside Medicare and fill the many “gaps” of Medicare. When purchasing a Medigap plan you'll also need to purchase a drug plan, since these plans don't include them. Medigap plans are best suited for people who like more choice in providers and can afford to pay a monthly premium for their drug plan and their Medigap plan. You can find out more information about Medigap plans here. So do you have to sign up for Medicare? Not always. But…. Sometimes opting for either Medicare Part B with a Medigap Plan, or an MAPD plan will actually cost you less money per month than your employer's group plan! You'll need to do the math on this, especially the math on your prescription drug coverage, because Medicare Drug Plans do not work the same way as your plan at work. They are subject to the “donut hole”, where your out of pocket expenses go up. You can find out more information about how to find the cheapest drug plan for you here. We also have free classes that you can take online, anytime. Just go to Free online Medicare Classes to sign up.